See a brief list of individual trainers supporting this project here. Want your organization listed below? Click here! Click here to see our currently scheduled trainings. The Alliance of Community Trainers offers knowledge, tools, and skills to individuals, organizations and communities to empower sustainable transformation. Whether it be community or organizational development, problem solving or conflict resolution, consensus decision-making, facilitation, strategic campaigns, media and public speaking, alternative technology, nonviolent action and environmental sustainability, we support people starting where they are, learning their vision of what they want. Solutions to current community problems lie within the communities themselves, when people obtain the information, training and skills needed to facilitate those solutions. The Alliance of Community Trainers weaves together experiences in different movements, issues, geographic areas and people of different ages, genders, cultures and ethnicities when working with groups to help them best achieve the world and life they want. AVPQ is a growing community of people who support those actively seeking nonviolent solutions to conflict. Members share experiences, skills, information and their time. It is a multicultural, independent, non-profit association of trained volunteers, offering experiential workshops that can help people to change their lives. Founded in prison and developed from the real life experiences of prisoners, Alternatives to Violence Project (AVP) has been empowering workshop participants with creative conflict resolution skills for over 40 years. Through a fully-immersive experiential learning model, AVP encourages every person’s innate power to positively transform themselves and the world. We run workshops in prisons, schools, and communities around the country. Our educational campaigns, direct action, volunteer program, research and trainings will break down barriers to the Freedom of Assembly and encourage more and better assemblies. And that’s good for everyone. From Gandhi’s March to the Sea to Black Lives Matter, public demonstrations have played a critical role in improving the human condition. So why is free assembly threatened by corrosive laws, state violence and misinformation in every corner of the globe? Because, when people hold assembly, they shift the power to the people. The Association for Active Nonviolence was set-up in 1966 and started working against obligatory military conscription, it broadened its scope of nonviolence trainings when joining the army became voluntary. Our topics are quite broad like direct action, community building and group dynamics. Yet since the late nineties interest in such training dropped. The organization continued publishing about nonviolence, as that was also one of the Association’s activities. They translated important English works, which are still available, and there is a web-magazine until today. The Association is currently located in The Netherlands, an innovative country, but very small, so there are simply less opportunities and less expertise here at the moment. Eventually, we hope there will be a “nonviolence trainers without borders” network. Backbone Campaign’s mission is to provide creative strategies, artful activism trainings, and creative action support to progressive activists, organizers and organizations around the US and beyond in order to invigorate and nurture a people-power, community-based, and internationally-networked nonviolent social movement for human rights, thriving communities, and ecological wellbeing. Backbone Campaign’s vision is a world where human dignity, community resilience, and ecological well being is built upon a foundation of democratic economic and political systems and diverse, thriving culture where human rights, the rights of communities and nature are truly inalienable and honored. BayNVC’s vision is a world where everyone’s needs matter and people have the skills to make peace. We are home to a number of projects and groups working under the same umbrella to apply and promote the principles and practices of Nonviolent Communication. A project of Pace e Bene, Campaign Nonviolence is a long-term movement to build a culture of peace by mainstreaming active nonviolence—and by joining with people, organizations, and movements everywhere in the long-term nonviolent struggle for a world free from war, poverty, racism, environmental destruction and the epidemic of violence. We offer trainings in active nonviolence, building nonviolent cities, creating nonviolent social change and trainings to help prepare and build towards a nonviolent action during Campaign Nonviolence Week of Actions. The Center for Building a Culture of Empathy has the mission to build a global worldwide culture of empathy. We are developing and offering empathy trainings, which is the foundation of nonviolence. Our Center for Nonviolence & Peace Studies has been conducting nonviolence trainings and peace education since 1999. Our mission is to provide education and training for nonviolence and peaceful means of addressing conflict and all forms of violence, at institutional and international levels. We believe firmly that the first step to building a beloved community and a culture of peace begins with deep study of nonviolence as a foundation for nonviolent direct action leading to the goal of lasting conflict reconciliation. We specialize in Kingian Nonviolence Conflict Reconciliation, Nonviolence Leadership, and Inner Peace trainings, based on the philosophy and principles of Dr. Martin Luther King, Jr. as a framework both for personal transformation and effective social change. Our work has provided nonviolence training and education at national and international levels through the certification training of trainers living and working in 26 states and 42 countries. The organization advocates for and educates youths on peace and nonviolence communication (PNVC) in the society, trains youths and school going pupils on peace building and conflict management in communities. VISION: We envisage that the society will be free from all forms of substance abuse violence, discrimination against vulnerable children, women, the disabled and youth. We awaken their ideas on conflict resolution and how to remain calm as a foundation for sustainable peace and development in the society and the nation as a whole. The Children’s Defense Fund (CDF) is a non-profit child advocacy organization that has worked relentlessly for more than 40 years to ensure a level playing field for all children. We champion policies and programs that lift children out of poverty; protect them from abuse and neglect; and ensure their access to health care, quality education and a moral and spiritual foundation. Supported by foundation and corporate grants and individual donations, CDF advocates nationwide on behalf of children to ensure children are always a priority. interracial and interfaith dialog about children’s issues. support). Aside from a thorough introduction to CPT’s work, mission, and mandate, CPT training can also be part of a general education for people who want to explore nonviolent, faith-based peacemaking work. We provide social justice-based training, consultation, and coaching. We assist individuals, K-12 schools, colleges and universities, community groups, non-profit and governmental agencies, faith-based communities, and others by utilizing restorative and transformative processes for problem solving, conflict resolution, peace-building, team and community building, strategic planning, leadership development, racial healing, and equity analysis. We specialize in research-based and best practices for bringing about reconciliation to conflict and disharmony between individuals and within communities. We offer training utilizing the peacemaking circle process, theories of nonviolence, and other restorative practices to bring about peace, harmony, and balance in relationships. And will customize our services to meet your specific needs. Compassionate Listening Oregon has trained hundreds of people in 7 countries in the art of listening and speaking from the heart. We are located in Portland, Oregon and connect with many other interfaith groups as well as peace organizations. Being able to listen non-judgmentally is a prerequisite to creating a non-violent relationship out of conflict. Located in Argentina, we are a network of people who offer training based on the work of Marshall Rosenberg. Our offerings range from Empathy to Walking toward Conflict to Self-connection to Peace in Families to Having Difficult Conversations. We offer courses (24 hours over 8 weeks), weekend workshops, residential weekends, coaching and custom-designed workshops to meet your specific needs. Conscience Studio encourages people to love life, act on conscience, and create global cultures of peace. We publish materials, curate exhibitions, offer training, and visit peace workers to develop and connect communities of conscience. See ConscienceStudio.com and our online store CourageousGifts.com. Creating a Culture of Peace (CCP) is a nationwide program for community-based peacemaking. The innovative 20-hour design of CCP provides a holistic and practical foundation in spiritually-grounded active nonviolence. Participants come to recognize their own power for making personal and social change without violence, and work to improve their skills for respectful engagement with opponents, instead of confrontation that polarizes and demonizes. CCP training is an incubator for participants to raise issues which most concern them–group controversy and conflict, neighborhood violence, racially-motivated police violence, domestic violence, climate change, war and militarism, discrimination, video games, homelessness, peace education, health care, and so on. The training is inspired by a popular education model that does not depend on reading a book or lectures. It draws upon the wisdom, experience and talents of all the participants and on the skills and knowledge of trainers. Mutual learning occurs through storytelling, meditation, small group sharing, brainstorming, role plays, thought-provoking exercises, music and movement. CCP offers training on nonviolence principles, analysis of social change and community-building, skills for peacemaking, and resources. Every group chooses and plans concrete projects for change. accompanying school children through difficult neighborhoods. 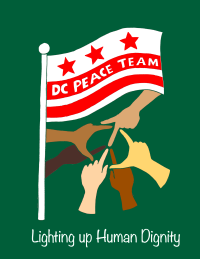 We commit to creating and sustaining a DC peace team that cultivates the virtue of nonviolent peacemaking and key corresponding practices. We commit to empowering ordinary civilians to increasingly serve their communities particularly as nonviolent peacekeepers, and by extension as peacemakers and peacebuilders. We are a group of nonviolent communication enthusiasts, leaders and practitioner who share a vision of a world as a place where empathic presence is commonly shared, and there is room for everyone’s needs to matter. We want to encourage ourselves and others to invest and acquire peacemaking abilities and deep-soul connection with themselves and others. We give our time and skills to many projects (like an annual NVC family camp and volunteer run annual Empathy Symposium) and we work full time with all kinds of groups working under the same umbrella to apply and promote the principles and practices of Nonviolent Communication, and other life enhancing practices such as restorative circles, the work that reconnects, nature connection work, focusing, etc. We offer regular nonviolent communication training in English and in French all over Canada. Family HEART Camp is a unique community experience for all people who long for more Harmony, Ease, Authenticity, Respect, and Trust in their families, in their communities, and in the world. Grounded in the principles of Nonviolent Communication, our camps offer an unforgettable lived experience of compassionate community, in places of natural beauty, for people of all ages. Family HEART Camp offers week long immersive summer camps for families and individuals in various locations through the United States. Gandhi Earth Keepers International is a grassroots, environmental justice organization rooted in the philosophy of deep ecology and the practice of Gandhian nonviolence. Our mission is to empower communities through peace and justice education, nonviolent direct action, and photojournalism. Every day we vow to work for a justice that serves all living beings regardless of species, race, age, gender, class, religion, or nationality. We are seeking opportunities to teach people about the philosophy of deep ecology, principled, nonviolence, critical theory, and spiritual activism. A hub for nonviolence trainings in the UK. GSE operates as a Community Interest Company committed to being a platform from which we can explore working alongside each other and ways of supporting each other in our endeavors to share NVC in the world. It specifically aims to offer a base for creativity, support and networking; a ‘hub’ for events, courses, workshops, funding opportunities and initiatives and any other such offerings for the co-creation of community, learning, mutual support and healing within NVC. GSE serves individuals, communities and organizations of all ages, backgrounds or financial means, who wish to learn and contribute to nonviolence primarily through the principles and heart of Nonviolent Communication. Imani Works is a 501(c)(3) nonprofit charity with a goal to promote human rights as we: 1) present opportunities for social change advocacy that are simple and efficient, 2) promote the understanding of nonviolent conflict transformation and reconciliation, and 3) demonstrate principles of sustainable living. INSTITUTE FOR HUMAN RIGHTS AND RESPONSIBILITIES, INC. Established in 1978, the IHRR Inc. is an Ohio Nonprofit tax-exempt organization that promotes adult leadership education for nonviolent democratic social change programs and projects. It publishes nonviolence and democracy educational materials and conducts residential adult education programs and nonviolence conflict reconciliation projects. In 1995, The IHRR published The Leaders Manual series of Kingian Nonviolence Conflict Reconciliation Program resources. The Leaders Manual-Structured Guide and Introduction to Kingian Nonviolence: The Philosophy and Methodology, by Bernard LaFayette and David Jehnsen is recognized as the most authentic text about Martin Luther King, Jr.’s philosophy and strategy of nonviolence. David Jehnsen, the lead faculty for this nonviolence training and education is also Chair and Founding Trustee of the Institute in Galena, Ohio. victims families and living victims of violent crime. Additionally we work with juveniles and adults as they prepare to be released from the Training School or Prison. We work to build the ideal of Martin Luther King’s Beloved Community. Little Friends For Peace has, for 35 years, taught inner and interpersonal peace skills to replace instincts of violence with tools for peace. Through programming in schools, summer camps, homeless shelters, prisons, corporate offices, community centers, churches and more, participants learn methods for personal peace development, nonviolent conflict resolution, nonviolent communication, and empathy enhancement. We cater all trainings to the needs of each community, and our staff is flexible to meet each person of the group exactly where they are in their socio-emotional development. Contact us today to help cultivate a culture of peace. MahaKaruna aims to co-create a society that is based on compassion, mutual respect, social equality and thereby contributing to the wellbeing of every living being on our planet. To this purpose we run a range of workshops/trainings in Nonviolent Communication (NVC). These include also workshops that focus on the relationship of NVC with Nonviolence actions/movement and workshops that share NVC within the context of the Zen practice. Meta Peace Team (MPT) empowers people to engage in active nonviolent peacemaking. MPT was started in 1993 as Michigan Peace Team, in response to the growing need for civilian peace-makers both in the U.S. and abroad. Since that time, we have moved far beyond (in the Greek,Meta) the borders of Michigan. 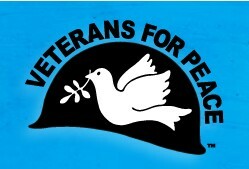 MPT offers nonviolence training workshops and provides opportunities to join peace teams. We seek a just world grounded in nonviolence and respect for the sacred interconnectedness of all life. Our mission is to promote the transition to a nonviolent future by making the logic, history, and yet-unexplored potential of nonviolence more accessible to activists and agents of cultural change (which ultimately includes all of us). We focus on root causes (sometimes called “upstream” causes) to help people in any walk of life discover their innate capacity for nonviolence and use it more strategically for long-term transformation of themselves and the world. We work to challenge and replace the prevailing worldview with a much higher image of humanity informed by nonviolence and its implications for the meaning of life and value of the person. The Minnesota Peacebuilding Leadership Institute is a 501(c)(3) non-partisan public charity nonprofit organization transforming psychological trauma into nonviolent power. Our mission is to instigate, train, and support racially, sexually, religiously, ethnically, culturally, and economically diverse individuals and organizations to become trauma-informed, resilience-oriented, and restorative-focused empowering communities in Minnesota, the USA, and around the world. example. We have been running groups for 21 years. We are a leader in British Columbia in this area, speak at Universities, and have programs that are recognized by business and the government. We also have masters level practicum students co-facilitate many of our groups. intention is to establish a widespread understanding of Nonviolent Communication as a key to creating a more compassionate and sustainable world to leave for our children’s children. We are 30 trainers and staff serving a community of just over 21,000 registered members and an active training participant population of just over 4,000 in over 90 countries. Our offerings are currently available in Arabic, English and German languages. French, Hebrew, Spanish, Russian, Polish and Italian language projects are in process, with completion expected by Summer of 2017. The Non-Violence Project Uganda is a non-profit organization focused on reducing youth violence through increasing knowledge on how to solve conflicts peacefully and creatively through sports, music, entrepreneurship and education. We are inspiring and engaging Uganda’s youth in positive social action for a better nation and world. Providing Nonviolent Communication in Australia. NVC is based on historical principles of nonviolence– the natural state of compassion when no violence is present in the heart. NVC reminds us what we already instinctively know about how good it feels to authentically connect to another human being. NVC Australia is part of a global community supporting the learning and sharing of NVC. Since developing the Nonviolent Communication (NVC) process in the 1960’s,Marshall B. Rosenberg Ph.D’s vision has been to teach people of any age, gender, ethnicity or background a much more effective alternative. While very simple, NVC offers a framework to reconnect us to the needs behind our own or another’s behavior, even in the most difficult of interactions. Pace e Bene’s programming offers tools to envision nonviolent alternatives – and to put them into practice. For Pace e Bene, nonviolence is more than a principle for effective protest – it is a way of life. For two decades Pace e Bene’s unique approach has been transforming lives and reaching people around the globe. Since its founding in 1989, over 25,000 people have taken over 600 Pace e Bene workshops to gain tools for more healthy relationships and to create a new society. Pace e Bene is available to lead trainings and workshops throughout the US and around the world. Together we work with individuals, organizations, and movements to strengthen their efforts to end war, protect human rights, challenge injustice, and to meet today’s profound spiritual task: to build a more just and peaceful world. In 2013 Pace e Bene launched Campaign Nonviolence. See more about it above. We offer restorative, empathic and empowering solutions to parents, educators and youth to increase peace-making skills, conflict resolution and cooperation at home, in school and in the community. Contact us today at connect@peacecirclecenter.org to learn more about our services and how we can tailor our support around your specific needs. At Peace Factory, Nonviolent Communication (NVC) is our source of inspiration for communication, dialogue and conflict resolution. Through concrete examples, practice the process of Nonviolent Communication and make your relationships with others more harmonious! Located in France, we offer courses in English and French led by different trainers who are all certified with the Centre for Nonviolent Communication (CNVC). Play in the Wild! Initiations into Nonviolence offers a full-immersion education in the principles and practices of nonviolence for youth, families, and educators. Our students learn practical and effective skills for living interdependently with all forms of life while developing knowledge of self and others. These skills and knowledge form the basis for peaceful, harmonious, and productive communities, not just at Play in the Wild!, but in the circles of relationships created after our students return home. New Way, under the non-profit Something New, provides training and certification to manage conflict in an alternative way. We use Dr. Martin Luther King Jr.’s philosophy of nonviolence and we have trained hundreds of college students through their Alternative Spring Break programs at their various campuses. Students UNITE is also our student activist branch under New Way’s nonviolence training and expertise and have created up to ten college campus chapters all over the country. The trained experts of SONAD offer to youth, students, members of political parties, religious and community leaders NGOs and community based organization workshops, trainings and consultancy on the following topics: Nonviolence and conflict transformation, including the methods of Alternative to Violence Project (AVP) which contributes to peace, justice and the reconciliation and better understanding of people after more than two decades of civil war. Civic and human Rights Education (*School of Democracy*) to empower people to have control over their sociopolitical and cultural environment. Gender Awareness and Women Empowerment:This intervention is to empower women to participate on all levels of an active society as well as in leadership, to be self-reliant and to be an agent of change. In addition, our resource center on nonviolence and conflict transformation provides materials, and our projects take up and engage with current issues around conflict transformation in Sudan. SONAD is a voluntary, non-profitable organization SONAD was initiated in 1999 as response to the marginalization of the youth in decision making process at all levels of Sudanese society. Our project links social activities from all Sudanese communities. Our training activities are inter-ethnic and contribute to bridge the gap between Christian and Muslims in Sudan. We are working with democratic structure and is open to anyone who support SONAD’s values and philosophy. democracy. “Peaceful social change, equity and social justices. “Empowering the poor and underprivileged to improve their lives. “Honesty, transparency, etc. SONAD is linked with more than 40 ethnic groups in Sudan and work in close cooperation with:(salmah, Gender Center, Almanar Justice Africa, Sudanese Organization for Research & Development(SORD), Sudanese Initiative for Development(SUDIA), Katim Adlan Center… etc. Our activities have also attracted admiration from external actors resulting in membership with international bodies such as Alternatives to Violence Project, Coalition for Peace in Africa, International and Swedish Fellowship of Reconciliation and War Resisters International. We finance our offices and programs with membership and subscription fees and get donations and support from individuals and organizations. SONAD’s office is located in Khartoum and it is legally registered with the federal ministry of Humanitarian Affairs in Khartoum. Over the past year SONAD has organized a high number of workshops, outreach activities & international exchanges. From 2004 to 2011, over 2600 workshop participants benefitted from SONAD activities. Internal and external evaluations have shown that participants not only learned together but have also spread the work and message to thousands, and organized themselves in networks and campaigns. Ask for our strategic three years and our operational plan to find out more about our current strategies and projects, or check our website. Teach for Life! is a residential training for teachers, staff, administrators, and teams of learning professionals dedicated to bringing compassion, mindfulness, and social-emotional learning into the culture of classrooms, schools, and progressive educational programs. Nonviolent Communication principles are embedded in Teach for Life! curriculum and all processes and activities can be used in classroom settings. Veterans For Peace is a global organization of Military Veterans and allies whose collective efforts are to build a culture of peace by using our experiences and lifting our voices. We inform the public of the true causes of war and the enormous costs of wars, with an obligation to heal the wounds of wars. 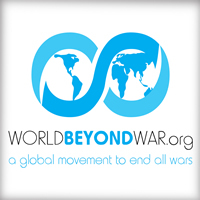 Our network is comprised of over 140 chapters worldwide whose work includes: educating the public, advocating for a dismantling of the war economy, providing services that assist veterans and victims of war, and most significantly, working to end all wars. War Resisters League is the United States’ oldest secular pacifist organization, the War Resisters League has been resisting war at home and war abroad since 1923. Our work for nonviolent revolution has spanned decades and has been shaped by the new visions and strategies of each generation’s peacemakers. Our regional office in New England offers active support to local organizers in the six New England states, and our local chapters are hard at work across the country. We have a network of local groups and contacts around the country, and offer many resources, including organizers’ packets, videos, and a terrific collection of buttons and posters. 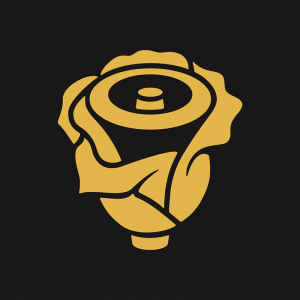 Youth Escape Arena is a Restorative Justice private practice that individualizes blueprints for success for “At-Promise” youth and young adults, often identified as the “At-Risk” population. At Youth Escape Arena, we specialize in working with adolescents and adults who have stumbled into poor decision making by becoming detained, or demonstrating acts of truancy, recidivism, fighting, robbery, social-media-bullying, in-home disrespect, curfew tardiness, engaging in drug usage, carrying weapons, skipping school, or in need of school or teacher relationship advocacy repair. Youth Escape Arena staff are experts in the challenges that families, schools, alternative school settings, group homes and juvenile detention facilities face with the 21st Century adolescents. When referred to Y.E.A., you allow us to create the arena where youth and young adults can make good choices. Our Restorative Justice practice is founded by, “Samantha Simpore Speaks,” a Behavior Specialist for the Maya Angelou Academy that is located inside of Washington DC’s Juvenile Detention Facility for adjudicated youth. She is also a National Youth Advocate and Maryland State Council Member for Child Abuse and Neglect. Early prevention, intervention, and resiliency beyond adversity is what we do! Youth Icons Ghana is a vibrant youth-oriented nonprofit organization committed to the empowerment of the Youth of Ghana and Africa by creating a unique platform for young people to engage in peace and nonviolence education, socially conscious leadership, community service and global friendship. The YWCA’s Social Justice Program work conducts advocacy trainings as a catalyst for social change by providing a theoretical and practical understanding of racism, sexism, and other forms of oppression. The aim of this work is to increase awareness of these issues and equip our community with the knowledge and skills needed to help build a more equitable world. Our workshops are conducted using a social justice model, which values what each person brings to the learning environment and strives to draw out and advance a shared understanding of complex social issues.